The labbits were very excited to receive a copy of the Kripalu Cookbook in the mail today. It's filled with fantastic vegetarian recipes. If you have ever had the privilege of taking a course or staying at Kripalu, the yoga and health center in the beautiful Berkshires of western Massachusetts, then you have experienced the food first hand, and you know it is first rate! Print the recipe here. 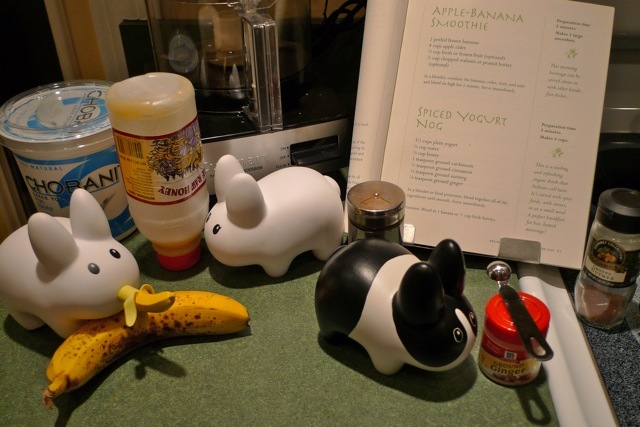 Pipkin slices up the banana, Clover brings the honey and yogurt, and Teddy measures the spices. 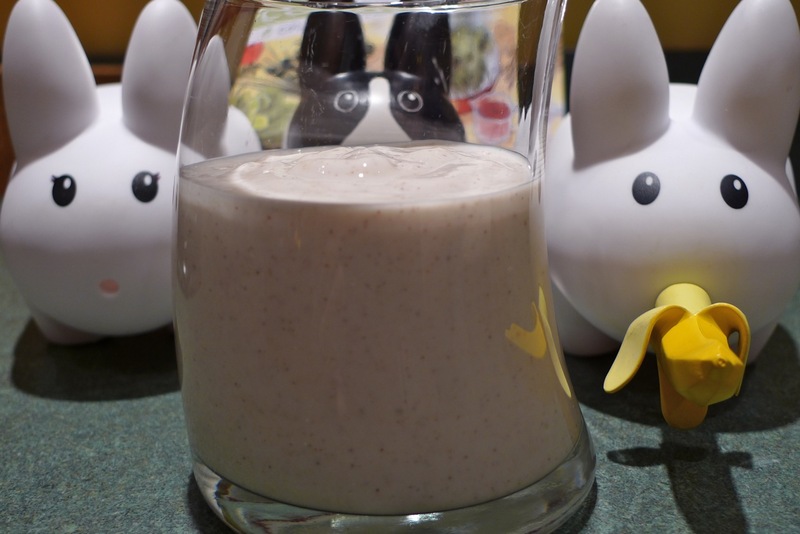 The labbits will no doubt share their upcoming adventures in cooking from this cookbook, but today they start off with a quick and easy yogurt drink that Indians call lassi. According to the Kripalu cookbook, lassi is "served with spicy foods, with sweets, or as a small meal." This was a nice mildly spiced creamy and cool drink, and the labbits enjoyed it as an evening nightcap. The labbits may have to put a Vermont spin on it by substituting the honey with maple syrup. Well, dig out your blenders or food processors, and get ready to whip this up! In a blender of food processor, blend together all of the ingredients until smooth. Serve immediately.